The first Greek immigrants arrived in Racine, WI at the beginning of this century. Because there was no Church here, they attended church in Milwaukee. At times, the priest from Milwaukee was invited to celebrate weddings and baptismsnas well as other occasional services in Racine, but they soon realized they needed their own Church and community. Our local Greek community was officially organized in 1916 with the first Liturgy being held in Moose Hall, November 19, 1916. A house was purchased at 723 Grand Avenue in 1917 and remodeled into a church. Lots on each side of the church were purchased in 1918-20. A new Orthodox church was built on the site and opened November 26, 1925. It was consecrated by Bishop Philaretos Joannides on July 21, 1929. This was our parish home for nearly forty years. After the current new Church was built, the original Grand Avenue church building was sold and demolished to become the parking lot for the Acklam Funeral Home. The young community survived despite the hardships of the Great Depression of the early 1930’s and sharing a priest with the St. Demetrios parish of Waukegan, Illinois in late 30’s and early 40’s. The church mortgage was paid in full during the mid 40’s. In the 1950’s the growing community needed to expand and plans were initiated for an expanded facility. In 1963 under the spiritual leadership of Rev. Fr. Peter Pappademetriou, eight acres of land was purchased at Highway 31 and Wright Avenue. On July 4, 1965, the ground was officially broken for the erection of a new church and educational unit. The cornerstone was laid with ceremonies on October 24, 1965. The last liturgy was held at the old church on Pentecost Sunday, May 29, 1966. The next day, the Feast of the Holy Trinity, Bishop Meletios led the community as the new church was opened and the first Divine Liturgy was celebrated on May 30, 1966. The mortgage was paid in full and burned on May 27, 1973, and the church was consecrated by Archbishop Iakovos of North and South America on November 3, 1974. We celebrated our 75th Anniversary on September 28-29, 1991 with our beloved bishop, Metropolitan Iakovos of Chicago presiding and the proistamenos at the time, Rev. Fr. Douglas Papulis. In 1997 under the spiritual leadership of Rev. Fr. Richard Andrews the community embarked on a project to build a new addition to our Fellowship Hall and Kitchen facilities. In 1999 the Parish hosted the Metropolis Clergy Laity Conference. The immense building project was completed under the spiritual guidance of Rev. Fr. Emmanuel Lillios, and the new Hall was blessed by our Metropolitan Iakovos on October 15, 2000. The existing hall was converted into much needed classrooms for our ministries. In 2003 under the spiritual leadership of Rev. Fr. John Ketchum, a Capitol Improvements Campaign was initiated to replace the Parking Lot, put a new roof on the classrooms, and repair the Platytera which as water damaged. These were all completed with the generosity of several families of Kimissis stewards. In 2006 the Parish entered a float in the Racine 4th of July Parade. The Parish celebrated its 90th Anniversary (1916-2006) with a Banquet on Sunday September 24, 2006. We are planning to celebrate our 100th Anniversary in 2016. Under the spiritual guidance of Fr. Ketchum additional improvements to the Kimissis Racine parish included new Brass Artoforion on altar table, new Marble floor on the Altar and Solea areas, new Church roof and Blue Dome, new Mosaic icon of the Mystical Supper above the center gates of Altar, and new large icons in the Narthex of Resurrection, Nativity of Christ and Pentecost. 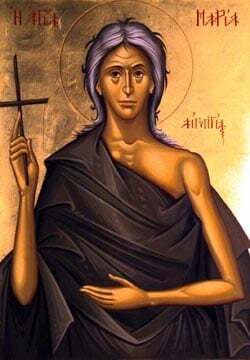 Every July the parish has a special celebration to honor St. Markella the Virgin Martyr of Chios.